Looking for another WWII book to add to your TBR pile? 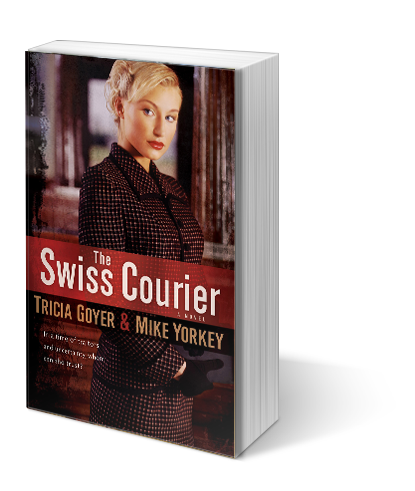 The Swiss Courier is a gripping tale full of action, love, and intrigue. Don’t forget to link-up your favorite WWII stories here or leave a comment below to be entered to win a copy of Remembering You. I have 40 copies to give away! Love any fiction story about WWII . Love reading that era because my late father caught in that war overseas. I loved “From Dust and Ashes” and I enjoyed “The Swiss Courier”, too. I have “Chasing Mona Lisa” on my TBR pile. I loved The Swiss Courier and was thrilledgto recive Chasing Mona Lisa in tge mail a few weeks ago. I read it immediately and want to read them aloud to my children too. Such a great story with a built in history lesson. I love books that deal with World War 11. They are so fascinating. They keep you on your toes. This looks like an exciting story! I’d love to win a copy. Just watching the preview my heart is racing! Can’t wait to find out what happens. This would make a great show, mini-series or movie!